An e-mail from a friend reminded me of my favorite bike related book, Need for the Bike by Paul Fournel. I've read it at least three times, savoring it slowly each time like a great wine. 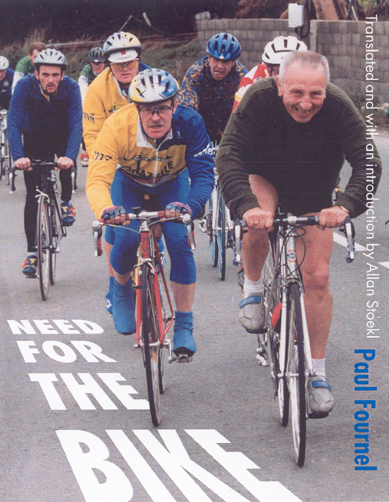 It is one of the few books about cycling that deserves to be called literature. Need for the Bike is both humorous and profound. It reveals many truths that you knew, but didn't realize you knew. And it introduces you to a bit of French cycling slang: "The witch with the green teeth", "The man with the hammer", "squirrels", "eating wool", etc. You can read a bit of it here. Paul Fournel is a member of Oulipo, a collective of avant-garde writers whose works focus on the problems and puzzles of language. He is presently the cultural attaché at the French Embassy in Cairo. Allan Stoekl is a professor of French at Pennsylvania State University, the author and editor of a number of books, and the translator of Maurice Blanchot’s The Most High (Nebraska 1996). I'm also reminded of another fine book in a similar vein, Daniel Behrman's The Man Who Loved Bicycles; unfortunately it's now out of print. Do you know of any other great cycling literature? If you happen to be in the Bay area next weekend don't forget to visit the North American Handmade Bicycle Show in San Jose. Their site has all the details. If you can't make it, at least take a look the photos of the 2006 show on their web site. I'm flying out and will be at the show Saturday afternoon and Sunday. So I hope to get a chance to meet some of you. I'll also meet with some manufacturers and explore new product ideas. We won't be exhibiting this year, but plan to next year. The following week we'll hang out at Big Sur for a much needed mini-vacation, so Velo Orange will be closed from March 3-11. You can still place orders, but they won't be shipped until the following week. There is some question of internet availability where we'll be staying, so questions may take a while to answer. If all goes well, we might be opening a little showroom in uptown Annapolis soon after we return. Wish us luck. The showroom would allow folks to come by and see, or even buy, our products and give VO some desperately needed storage space. 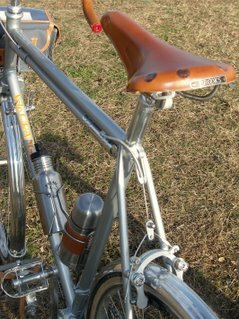 By the way, you might also enjoy seeing these photos from the 2005 Tokyo Handbuilt Bike Show. 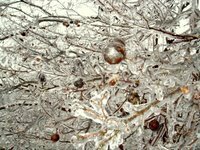 For those of you on this blog who weren't aware of this, I am Chris's wife and the Annette who packs your orders and sometimes emails you when I screw them up. As the owner of the Blue Frame, and wife of the Silver Frame, I have the rare opportunity to compare the frames side by side and to compare them to other production frames that we own. 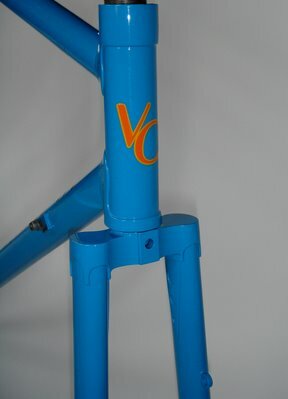 I simply don't like the blue color; I think it's too "different" to be associated with VO, to be the "Velo Orange blue." I want to get it right for our future customers. Hence, my decision to have it repainted. I know from our days in the boatbuilding business that different colors simply go on thinner or thicker than others. It was not a surprise to me that the silver looks thinner than the blue; for that matter, the silver looks thinner than Chris's orange Ebisu. 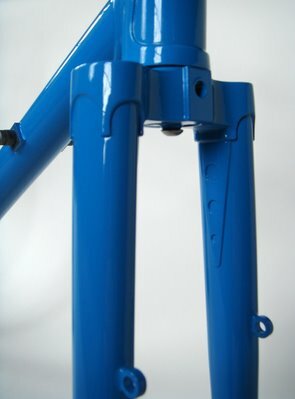 I would not reject the Blue Frame because of the paint coverage. Had I not seen the Silver Frame or read the comments on the post below (A Blue Frame), I may not have even noticed the "thickness" (partially because I was so blinded by the blueness...). I'm not sure I agree with Chris when he says the Silver is a bit thin. Color is such a personal thing; it's very scary for some of us. I wear mainly denim and black, simply b/c I can't make a decision. Many of our walls are white. To offer quality frames at a competitive price, we thought it best to narrow the VO color choices to four established Imron colors. We're still adjusting to get those four colors just right. One problem is that the actual Imron color chart is rather rare and costly, too costly to provide to every potential customer. And a pdf of the color chart just doesn’t do it. Therefore, we’ve given ourselves the unenviable task of choosing these colors for you. These are early days at VO, and we appreciate your patience and input, though it does seem at times that I’m living The Truman Show. For what it's worth, Alec's (our 7-year old) immediate reaction was, "Suweeeeet!" but I suspect he just liked hearing himself say it. Here are a few photos of a blue Velo-Orange Randonneur frame. As always, click on them to see the full size shot. Notice the new fork tangs and the new seat stays caps. I really like the wraparound look, very French. This frame will have sidepull brakes so there is a different brake bridge. The brake bridge reinforcements, however, will be used on all the frames. I still don't think we have the shade of blue quite right. One shade lighter might look better. The photos don't exactly capture the color which has just a hint of green in it. This paint is also thicker than the silver gray and I love the non-metallic look. By the way, we now offer white decals outlined in dark brown as a no-cost option. I'll take some photos of it built up in a week or so. Imagine that the teeth on you Rene Herse chainrings are wearing out. You could wait a few years for a set to come up on E-bay, and probably pay more than a VO frame costs, or you could have a set made by a small Japanese company named CT ("CT" stands for Cycle Tourist's. ) 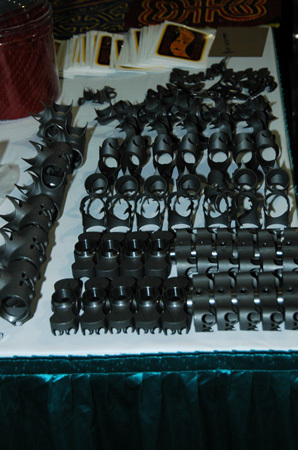 The rings, at $65 to $85 apiece, run a small fraction of the cost of originals. 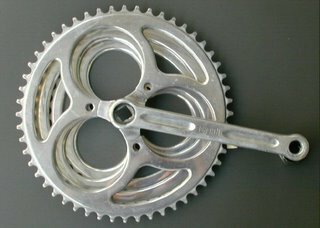 CT will even make RH-style rings to fit TA 3-pin or Shimano cranks in case you are not blessed, as I am not, with a RH crankset. CT also makes rings in patterns for Simplex, Stronglight, CYCLO, Rene Herse, ZEUS, TA, Campagnolo, and most any other crank you can imagine. This morning Boggy-san from Japan kindly e-mailed to tell us that Mr. Kohiyama, CT's owner, has decided to close-up his chain ring operation and sell off his machinery, though his bike shop will remain open. It is a great shame to learn of another small specialty bike manufacturing operation going out of business. Boggy-san tells me that CT rings are very accurately machined and very hard. Mr. Kohiyama will accept orders until the end of March. So hurry and stock up on rings for all your priceless cranks. Please visit CT's site for some great photos of obscure and rare chainrings. I was going to write about tube selection in the second part of my little series on frame quality, but I wanted to put it in a larger context. 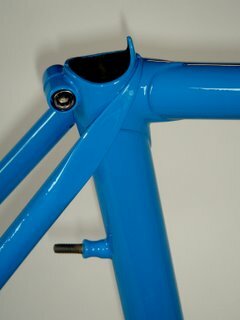 I get a lot of e-mails asking how our frames compare to frames from other manufacturers and builders. These alway require long answers and I have to be careful not to sound like I'm putting down someone else's frame. So I thought I'd post and elaborate on one of my typical responses. Now when someone asks how a VO frame compares to _____'s frames, I can point them to this post. There are several major differences between our bikes and _____'s bikes. First and most importantly, our bikes are semi-custom. I used to race and train with my buddy Geoff. Geoff was 6'4 and about 160 pounds; I was 6'3 and about 185 pounds. Most bike shops would have sold us both the same frame. But Geoff was a climber and a spinner who liked a very light and flexible frame. Comfort was also very important to him. I was a masher and a sprinter and I liked a stiffer frame. 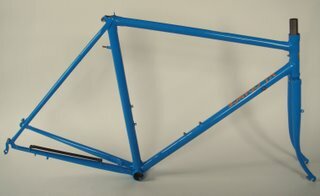 I was perfectly comfortable on any frame, but didn't like steep angles (of course this was a couple of decades ago). Obviously we wanted very different bikes and neither of were happy on a production frame. Even though we technically fit on a stock frame, a custom design would have made both of us much happier. That's the way it is with most cyclists, there is usually something that can be improved over a stock frame. So our frames are made exactly to your measurements. The tubes are also selected for your weight, riding style, and preferences. Johnny can order tubes from a variety of manufacturers and mix and match to get exactly the ride required. 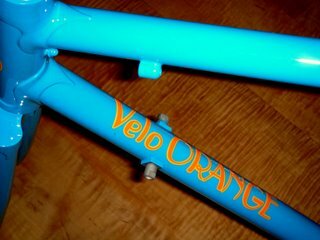 One of the reasons we don't put tubing stickers on our frames is because the tubes may not have come from one manufacturer. Yet we stick to our basic geometry, lug type, and four color choices. This, and a willingness to take a smaller profit since we're new, allows us to offer frames that are about the same price as _____'s production frames. The second diffrence between our frames and ______s' is that our frames also use a low trail front geometry derived from French randonneur bikes built by legendary constructeurs such as Rene Herse and Alex Singer. They are designed for very long distance spirited riding on poor roads. This geometry is optimized for wider tires, 28mm to 32mm. This geometry is different than "sport touring geometry" derived from racing bikes and, in our opinion, is superior. 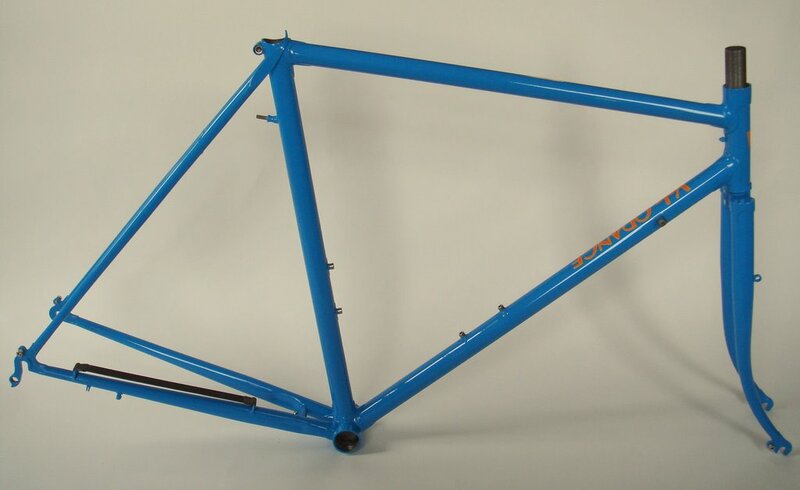 Finally, Johnny Coast builds our Rando frames. 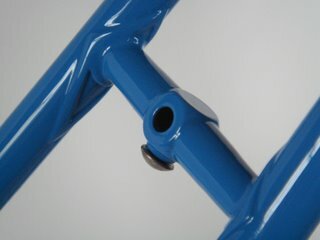 Johnny is not into fancy lugs and paint, rather he concentrates on technically superb, but simple frames. His style reminds me of certain Japanese builders such as Nagasawa, ALPS, and Toei. It is defined by simple clean lines, exacting craftsmanship, and attention to detail. His silver brazing and lug finishing are as good as any I've seen. 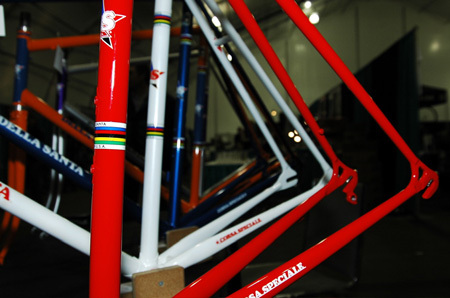 And he takes great pride in building frames that are perfectly aligned. There is simply no comparison between his frames and ANY production frame when it comes to quality. So that's how I see our frames differing from most any production frame. 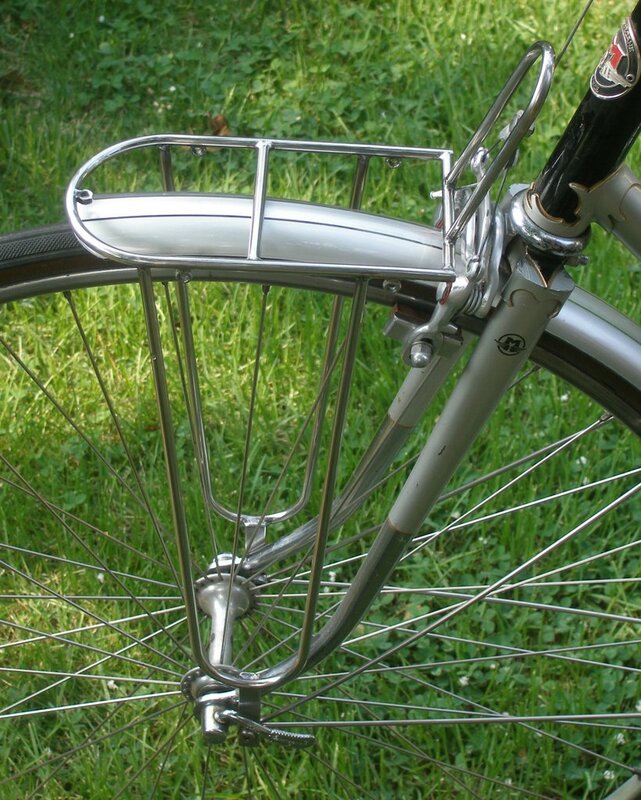 Some of you know that we've been trying to develop a line of less expensive metal fenders. With the samples that arrived yesterday, we now have seven sets of fenders in three different profiles from two factories. Six are aluminum and one is steel. I would not hesitate to put any of the six aluminum sets on a custom Randonneur. The quality and finish are really very nice. They are all brushed aluminum and either a smooth round or fluted profile. Though the fenders themselves look great, the struts and other hardware are not as nice. But I think we can solve that problem. We'll put some of the samples in the specials section later. 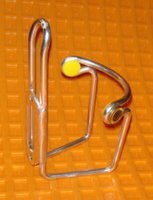 So the decision I have to make is whether to have these made in aluminum, or try to convince the factory to do a run in stainless steel. Also, I like the brushed aluminum finish, but I wonder if there are folks who just have to have a polished finish? I'll e-mail, I mean call, I mean write a letter today and order a bunch of Amish baskets. 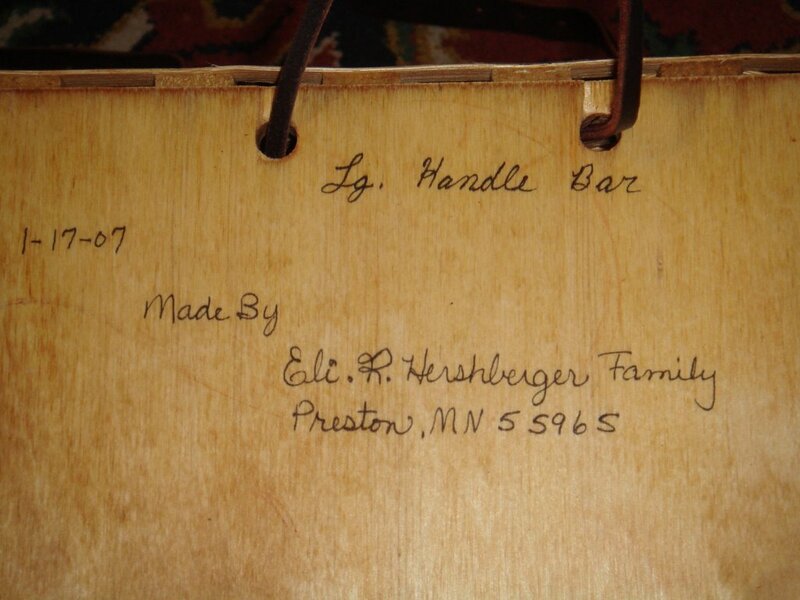 Neil has kindly offered to help arrange for the Hershbergers to have boxes made and to help them arrange shipping. So if you'd like an Amish basket, or a full set, let me know. Honjo has finished our order of custom fenders and, depending on how quickly our import agent can get them on a ship, they should be here in a couple or a few weeks. Ostrich says they can make a special run of handlebar bags for us in another color. Any suggestions on the color? And should they be heavy nylon or cotton duck? Also, we still seem not to receive the occasional e-mail. So if I don't respond, please try again. 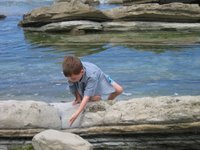 The photo on the right is of my our son playing in the ocean in Spain. 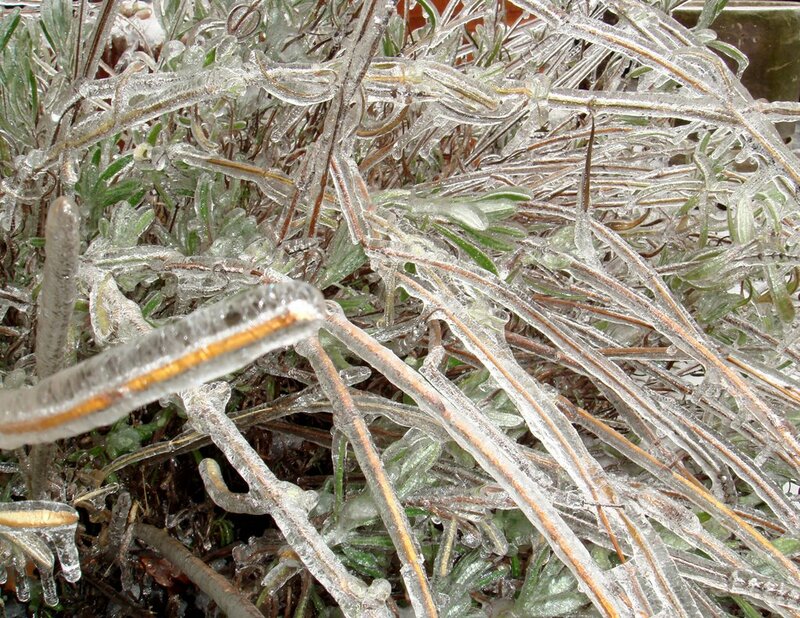 Those of us in the Northeast and Mid-Atlantic states need a reminder of warm weather today. 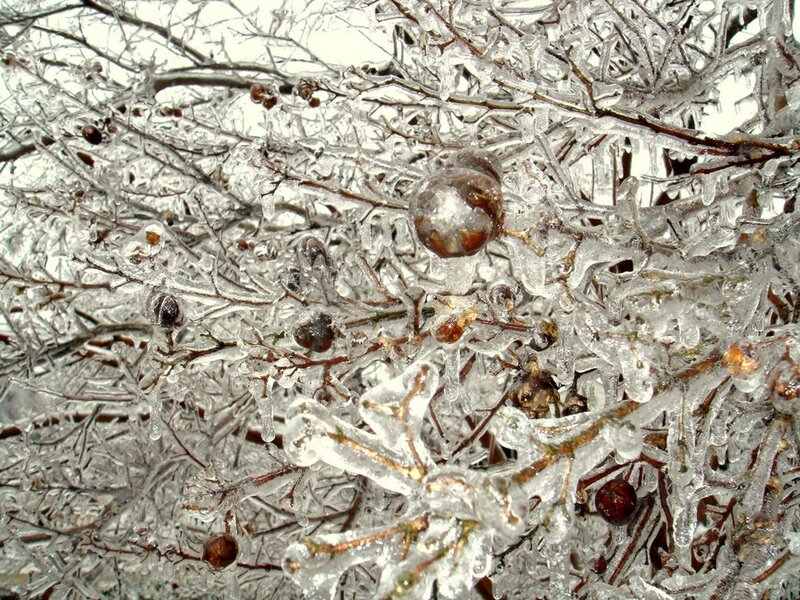 On the left are a couple of shots taken in our front yard this morning. 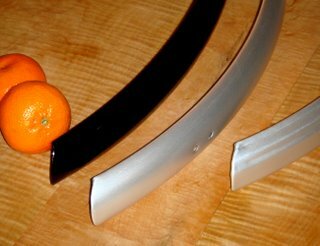 We have a few pair of hammered 35mm fenders for 700c and 45mm fenders for 26" wheels in stock. I've started a list of folks who want baskets and I'll e-mail you as soon as they come in. 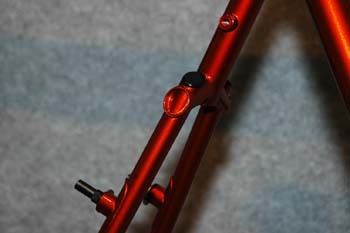 We'll have some prototype racks from a company in Taiwan on the specials page later today. Frankly, they did not meet our standards and we won't stock them. But they are a good deal for beater bikes. 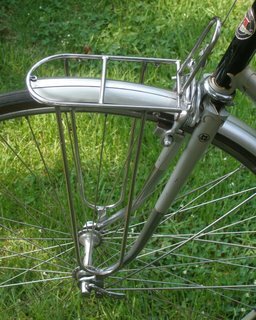 One is a stainless steel camping style rear rack. The other is like a Nitto M-12, but black, heavier, and not as well finished. In case anyone is interested we just got our first shipment of front racks. Eli Hershberger and his family, with four small kids, make baskets in rural Minnesota. They are an Amish family who grow their own food on a small plot, keep one horse and a cow, and use a generator to power their saw. Since the road outside their farm has been closed they've had no place to sell their baskets. You can't drive too far in a horse and buggy. How do I know all this? Neil Berg, who's comments everyone must have seen, know them. So he cooked up this idea to have them make bike baskets. I got some samples a few days ago and I am very very impressed. 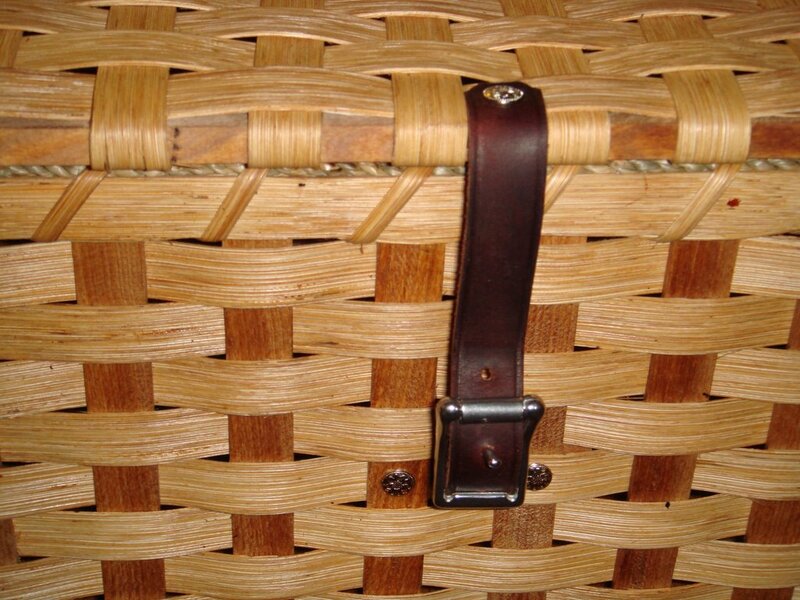 The baskets are not inexpensive, but they are real pieces of old fashioned American craftsmanship. 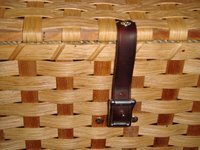 Even the leather straps are hand made and embossed. And notice the rope trim along the top. I think the panniers are really a great design. 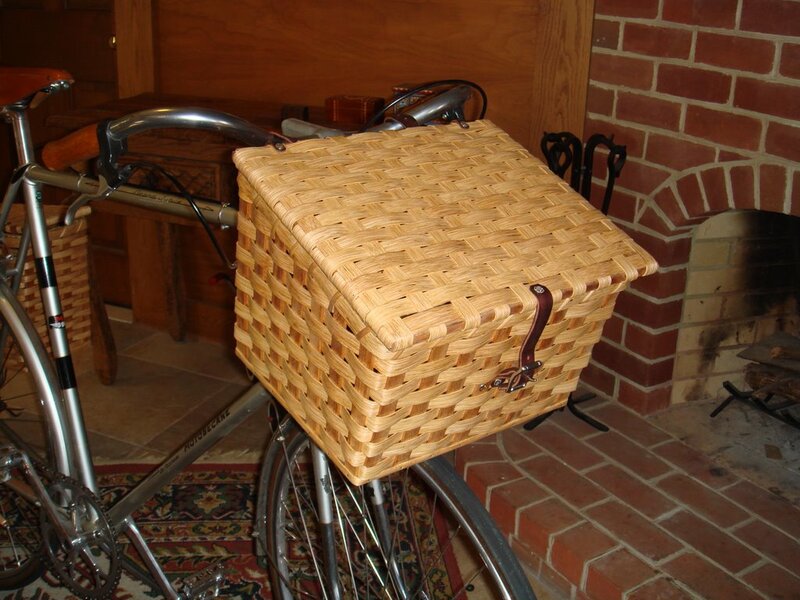 And the front basket with the lid is great, but it should sit on a front rack. 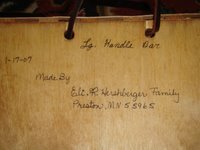 I'd love to sell some of these baskets both because they are truly lovely and to help out the Hershbergers. I'll even wholesale them to other bike shops. But if you'd like one, or set, please let me know and I'll put an order together. Frankly, I'm not sure if these will be popular so I don't want to buy a large quantity until I get some feedback. 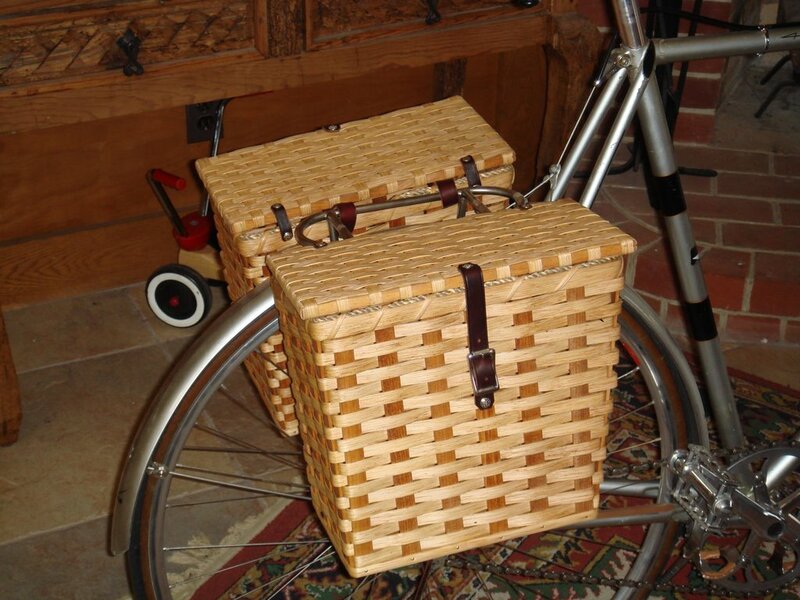 The pannier sets cost $95, the big handlebar basket is $65, and the little one costs $38. 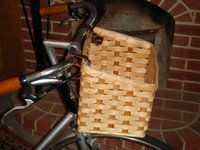 Small basket-- 8.5" x 9.5" x 12", 1 lbs, 10 oz. UPDATE: THESE ARE NO LONGER MADE AND SO NO LONGER AVAILABLE. A few new items have been trickling in. 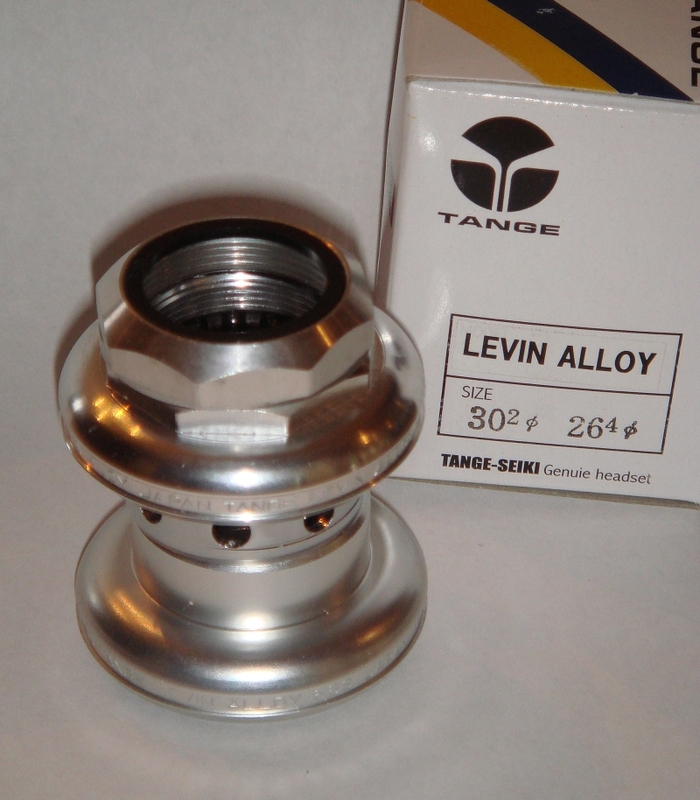 We have the very nice Tange Levin 1500 alloy NJS headsets. So you can use the same headset as the Keirin pros. These resemble the old Campy headsets and are very well made. 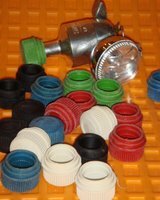 The Velox rubber generator caps I promised to get have arrived. Sorry that getting the lighting and generator section has been taking so long. It turns out that our supplier forgot to ship two of our orders. The MKS Wide Custom Neuvo pedals have arrived. They are not cheap, but they are beautifully made. This is the same pedal that's used on the Keirin circuit, just with a wider cage. It's real boon for those of us who want to play Keirin racer, but are built more like Sumo wrestlers. My size 46 wide feet sure love them. 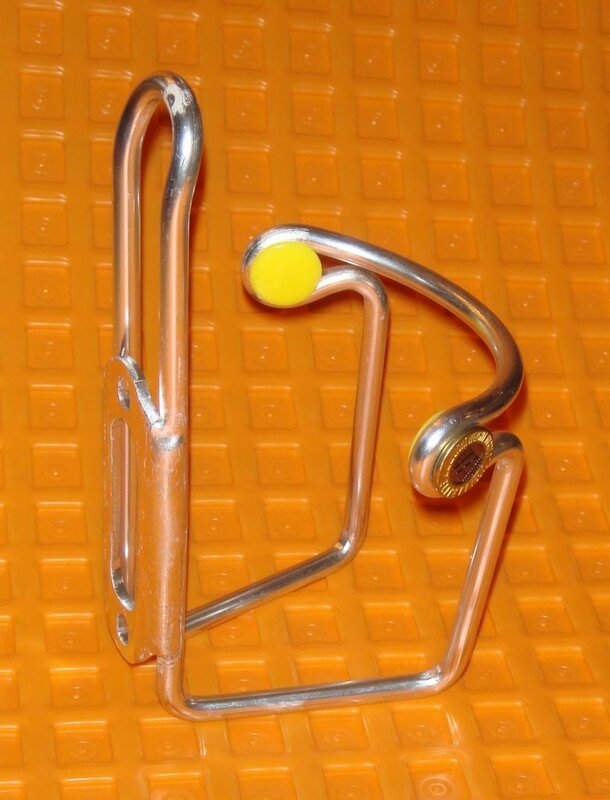 I also found a great deal on some Elite aluminum water bottle cages. I'm not a big fan of aluminum cages, but these seem sturdier than most and they are cheap. A lot of you have been waiting for the 60th anniversary cranks from TA Specialities. We were told they would arrive in January. Our importer just spoke with the factory and was told that they are not ready and they don't have an estimated delivery time. The pedals are also in great demand. 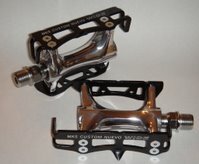 TA says the first run of pedals since they repaired their molds have quality problems and will not be shipped. I don't know if this means the new molds are not working or if there is some other problem. 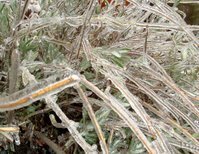 Many of us in the bike biz as well as our customers are very disappointed. I think we'll stop taking reservations for TA products. When, or if, they show up, great, but it looks like we can't count on them to deliver on time. There are other product delays as well. Honjo says they now need 4 months lead time for fenders. Our order will finally be finished this month. I guess Honjo fenders are getting popular. We have seen similar delays from other manufacturers. Is this a sign that demand for cyclo-touring products is growing? The City of Light wants to soon become a city of bicycles. Paris City Hall announced it has selected French outdoor advertising firm JCDecaux SA to operate a new free bicycle service in the capital. Joining other European cities like the Dutch capital, Amsterdam, Paris wants to make thousands of bikes available for free to commuters, strollers and tourists - in part to help cut down on pollution. JCDecaux's Somupi unit is to have some 14,100 bikes deployed in the capital by this summer. 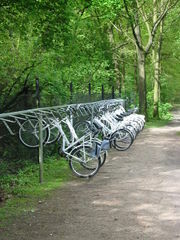 Other European cities including Lyon, Brussels, Helsinki, Copenhagen, Amsterdam, Berlin also operate what they call "white bicycle" (or sometimes "yellow" bicycle) programs. Here in the States they are often termed "community bike programs". We lived just outside the waterfront village of Galesville in Maryland for 11 years where the few hundred residents operated a simple community bike program. Bikes were donated or bought cheaply at yard sales, and a big sign declaring them to be community bikes was affixed to each one. Whenever you needed a bike you simply got on one and rode away. When you'd finished your errand you left the bike someplace conspicuous for someone else to use. The few cyclists in town would occasionally perform a bit of maintenance and that's all there was to it. Here is a list of other US communities that operate free bike programs. The project seems particularly well organized in Austin. Not all such programs are successful though, sometimes theft or vandalism are a problem. Nonetheless they have been proven to work, and work well. The White bikes program has to be one of the best ideas to come along in decades. It saves gas, cuts down on pollution, is inexpensive, and improves the lives of everyone involved. Why aren't more local governments starting such programs? BTW, I love those red fenders.